Bronson Arroyo, RHP: Two years, $23.5MM. Club option for 2016. Eric Chavez, 3B: One year, $3.5MM. Acquired RHP Justin Choate and OF Todd Glaesmann from the Rays in exchange for RHP Heath Bell (to Rays) and LHP David Holmberg (to Reds). Acquired OF Mark Trumbo and RHP A.J. Schugel from the Angels and OF Brandon Jacobs from the White Sox in exchange for LHP Tyler Skaggs (to Angels) and OF Adam Eaton (to White Sox). Acquired RHP Addison Reed from the White Sox in exchange for 3B Matt Davidson. Josh Collmenter, RHP: two years, $2.425MM. Club option for 2016 and mutual option for 2017. Brad Ziegler, RHP: two years, $10.5MM. Club option for 2016. “Need” may not be the right word to describe the target areas for Arizona GM Kevin Towers coming into the offseason. After all, the club featured a fairly balanced set of players: a couple of young options at short to round out the infield; several youthful outfielders to join a returning Cody Ross; a nice group of rotation candidates; and the basis for a solid relief corps. There were questions, surely, but one would have been hard-pressed to point to a significant area where an addition was truly necessary. Nevertheless, Towers had a clear set of priorities in mind, and saw room to reshape and improve his club. Power was the watchword, as rumors suggested that Arizona was intent on adding another big bat to accompany star young first bagger Paul Goldschmidt. Then, reports emerged that the team also hoped to add a major arm to the top of its rotation. With the added payroll space in his pocket, Towers worked quickly to replace the corner-outfield power output that went with Justin Upton to Atlanta last year. Striking a deal with the Angels and White Sox, Towers brought in the slugging Trumbo in exchange for two well-regarded prospects in Eaton and Skaggs. 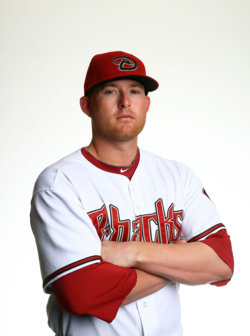 Trumbo brings undeniable 30-homer power to Arizona, and certainly promises to do what Towers hoped in that department. But he does not get on base consistently (career .299 OBP) and is not a good bet to add value through defense. (Though UZR and DRS both prefer his work in left to the opposite corner, his overall outfield numbers show that he is probably average at best.) Additionally, while Eaton and Skaggs had seen some of their prospect luster fade, the two are still considered high-end young talents who are just about ready to be big-league contributors. Shortly thereafter came the acquisition of Reed, a powerful young closer. With Trumbo in left, the team planned to slot Martin Prado at the hot corner; that, in turn, meant that the young third bagger Davidson was blocked at the MLB level. So, he was flipped to Chicago for the right to plug Reed’s electric arm into the back of the Arizona pen. Burning another top trade chip on a relief arm, however, may have hampered the club’s stated desire to deal for an impact starter. After securing Chavez’s return on a one-year, $3.5MM deal, Towers turned to a rotation market that was focused solely on one man: Masahiro Tanaka. Long rumored to be enamored of the Japanese ace, the Diamondbacks were reportedly willing to commit $120MM to acquire him. Of course, that fell far shy of Tanaka’s stunning deal with the Yankees. That left the D’Backs looking at a remaining crop of free agents that was fronted by mid-tier options that did not suit their needs. Having already dealt from the team’s base of prospects, and being understandably unwilling to move top youngster Archie Bradley, potential trade scenarios involving arms like David Price and Jeff Samardzija never materialized. Instead, the team added depth and stability by inking the veteran Arroyo to a low-downside, low-upside deal. The signing unquestionably added solid innings to the Arizona docket, and decreased both the team’s exposure to injury risk and the pressure to start Bradley’s service clock. That Arroyo does not fill an obvious need — the team could have gone with Randall Delgado in the rotation — does not imply that he is not useful. But certainly Arroyo does not constitute the kind of impact addition that Towers had sought, and the team appears to have paid a full-market price for the durable veteran (having outbid the Orioles for his services). The organization also used the offseason to lock down its leadership beyond the 2014 season. Arizona announced extensions of unknown length for Towers and manager Kirk Gibson in early February. Interestingly, one of the most obvious areas of real need — backup catcher — is a place that the Diamondbacks did not act decisively. The club brought in a few non-roster invitees, led by 42-year-old Henry Blanco, to fill in behind starter Miguel Montero. Arizona may not be done dealing, however, as the team is reportedly looking to ship one of its talented young shortstops for a young backstop. Somewhat relatedly, if it plans to deal from its depth up the middle, the club needs to decide whether to run with Didi Gregorius or Chris Owings as the everyday shortstop to start the season. That decision — and, more importantly, the performance of whoever lands the job in the long term — could have a major impact not only on this season but the team’s future outlook. Aside from the usual set of questions regarding performance, the D’Backs face some uncertainty in their outfield mix with Cody Ross still recovering from hip surgery. Though his recovery has reportedly been progressing quite well, Ross only just began running the bases. A setback would be tricky to cover, though Arizona has options. A.J. Pollock could step into a starting outfield role, but behind him lies only a group of minor league free agents. In theory, the club could instead shift Prado to the outfield and use Chavez and Cliff Pennington at the hot corner, but that too is an imperfect solution that could strain the team’s depth. I’ll stretch the scope of this heading to consider both of the Diamondbacks’ big trades, because they carry similar characteristics. Trumbo and Reed are both still young (28 and 25, respectively) and came with several years of control (3 and 4). The two are each dynamic, powerful players with some premium tools. But neither brings a ton of overall value to the table. Trumbo’s power comes at the price of a ton of strikeouts and few walks, and he is not a plus defensively. Reed generates lots of whiffs and limits walks, but fails to get groundballs, has yet to line up his peripherals with results, and most importantly has a limited ceiling by the nature of his position. Moreover, with lots of counting stats already in the bag, the two will not be cheap. With 95 career long balls, Trumbo already landed a $4.8MM deal in his first season of arbitration eligibility. Notably, MLBTR contributor Matt Swartz projected him to earn virtually the same amount as young star Giancarlo Stanton. Though Stanton ended up settling for a much higher figure, the point is clear: Trumbo’s power inflates his cost in arbitration, and no discount is built in to reflect his inability to draw walks. The same promises to hold true for Reed, who already has 69 saves to his name. Checking in some of the comps utilized by Swartz in discussing the exceptional arbitration case of Craig Kimbrel, it seems eminently possible that Reed could end up somewhere in the range of Brian Wilson ($4.46MM) and John Axford ($5MM) in their first years of eligibility. (Notably, of course, Axford was non-tendered in his second year of eligiblity, an unappetizing but realistic eventual possibility for Arizona with respect to Reed.) Curiously, the D’backs parted with a solid prospect just to unload Bell’s salary, then gave up an even better youngster to bring in another reliever who may well price himsef off of the roster in relatively short order. Most importantly, perhaps, the talent given up to obtain these two players — Eaton, Skaggs, Davidson, and (in effect) Holmberg — might have come in handy over the years to come. Somewhat remarkably, that group occupied four of the six top spots in Baseball America’s prospect rankings of the Diamondbacks before the 2013 season. Though none had made significant leaps forward over the last year, they all also moved closer to MLB readiness without suffering any major injuries. In the aggregate, the D’backs gave up 23 years of control over those four prospects — much of which will come at league minimum — to shed Bell (along with $5.5MM of his salary) and add seven years of Trumbo and Reed (assuming both are not non-tendered at some point). While these moves probably make the team better for 2014, it is more than fair to wonder whether any near-term improvement is sufficient to have warranted that kind of sacrifice. Towers has not hesitated to act aggressively to reshape his team’s roster, but it is not clear that he has substantially improved it after two-straight .500 seasons. The heat is on for results, especially after the recent outflow of future talent. If the team struggles out of the gate, or looks in need of a trade-deadline jolt, it will be fascinating to see what bold new moves the GM has in store.